Toe separator specially intended for overlapping toes. It separates the overlapping toes for proper alignment. , The anatomical design with silicon loop keeps spreader in place all day long and prevents rubbing & relieves pressure. 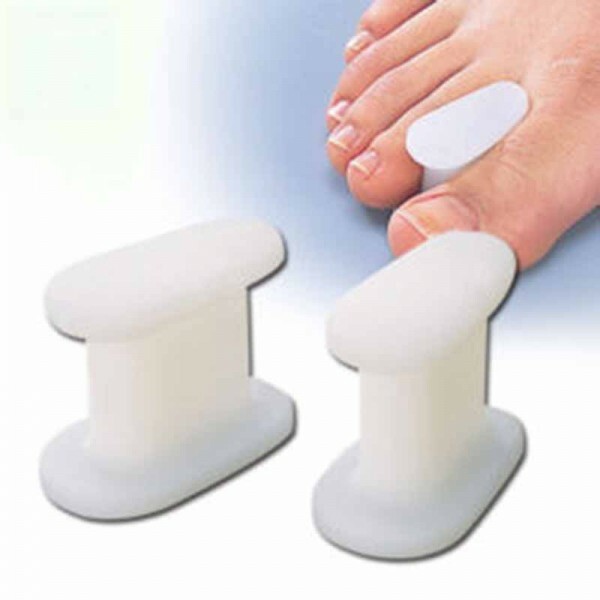 Toe separator (silicone) is anatomically designed to spread toes, absorb pressure and help in their alignment. Friction between overlapping and pinched toes can cause discomfort, irritation and corns. Toe separator aligns the big toe relieves bunion discomfort, pain and soreness associated with soft corns or toes rubbing together.